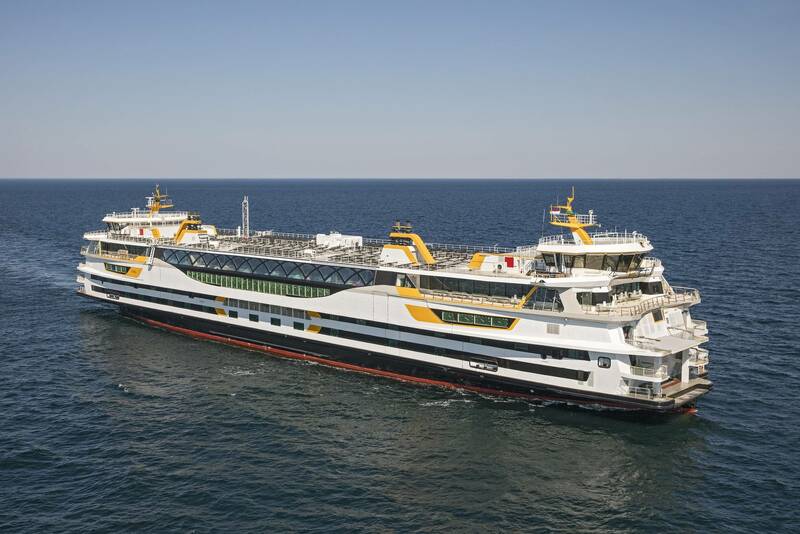 Hybrid RoPax ferry Texelstroom has been delivered to Koninklijke N.V. Texels Eigen Stoomboot Onderneming (Royal TESO). This latest generation symmetrical ferry is powered by efficient, medium speed dual fuel engines of Anglo Belgian Corporation (ABC). 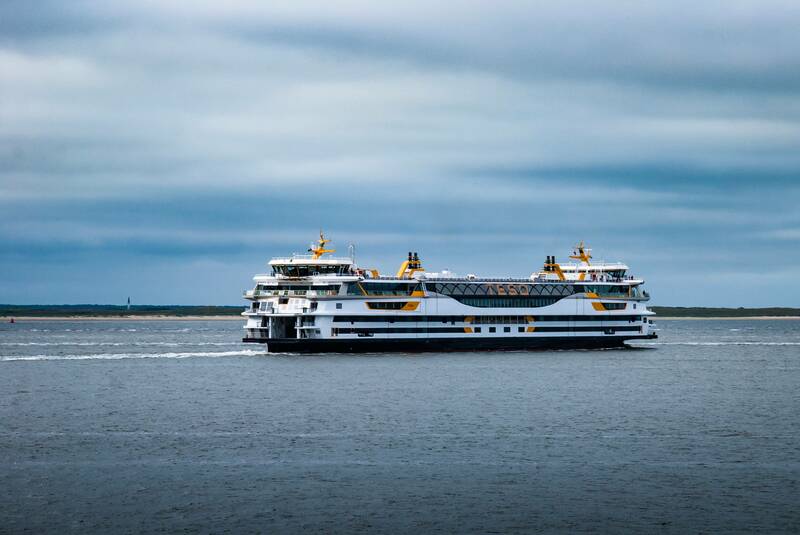 Texelstroom will be responsible for transporting up to 1,750 passengers and 350 vehicles between the port of Den Helder and the island of Texel. Royal TESO announced on May 8, 2014 that it had signed an agreement with the northern Spanish shipyard LaNaval for the construction of a new ferry. More than two years and 600,000 man hours later, the Texelstroom has been delivered. Anglo Belgian Corporation supplied the four main engines, including two dual fuel (CNG + diesel) generator sets that provide 2 MW each at 1000 rpm and 2 diesel generator sets that develop each 2 MW at 750 rpm. For the dual fuel engines, an air/gas mixture is injected in the cylinders, which is then compressed. A small pilot injection of diesel ensures the ignition. Natural gas (CNG) is more environmentally friendly and has as one of the main advantages that hardly any soot or sulfur dioxide is released during the combustion. An important advantage of ABC's dual fuel engines is its very flexible fuel system which is considerably increasing efficiency. The powerful ignition makes it possible to work with different gases of low calorific value and fluctuating ignition quality. In addition, the operator has the ability, through rapid fuel conversion, to sail either on natural gas or diesel. ABC's dual fuel engines are also characterized by their fast response providing a familiar and reassuring feeling to the user. The 135.4-meter-long ferry will generally sail using its dual fuel engines every hour between 6 a.m. and 10 p.m. These dual fuel engines were fitted to have sufficient power in this tidal region for the approximately 20 minute crossing between the mainland and the largest Dutch Wadden Sea Island Texel. In normal weather conditions, Texelstroom will use only one dual fuel generating set during the majority of the crossing wherein the engine cooperates with the battery packs on board. Redundancy was taken into account from the concept stage of the ferry. In cases of extreme urgency, the hybrid ferry will have to make the crossing from Texel to the mainland (and vice versa) at lightning speed. Therefore, two back-up diesel generating sets were also provided. In addition to the two storage tanks for the compressed natural gas, a 700-square-meter solar photovoltaic panel field is also installed on the roof of the ferry. The energy is hereby stored in electric batteries with high capacity that are part of the advanced energy management system. This energy can then be used at peak times for the propulsion or electricity consumption on board of the ferry.